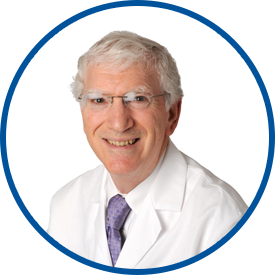 Dr. Sherling is a board-certified internist and pulmonologist and has been in practice for more than four decades. He received his bachelor of arts degree from Rutgers University and was awarded his medical degree from New York Medical College. He completed his internship and residency in internal medicine at New York Medical College, Metropolitan Hospital Center. He then completed a fellowship in pulmonary disease at Lenox Hill Hospital, affiliated with New York Medical College, Metropolitan Hospital Center. Dr. Sherling is affiliated with Greenwich Hospital and White Plains Hospital. He joined Westmed Medical Group in May of 2001. Dr. Sherling is fluent in Italian as well as English. He is on the Healthgrades Honor Roll, and has been a Castle Connolly Top Doctor. I liked *Dr. Sherling so much I considered making him my regular MD! Dr. Sherling is very attuned to & concerned about a serious problem I developed a few months ago as a result of knee replacement surgery, & seems to follow my care closely & listen to my concerns. My son now goes to my provider on my recommendation. Only top-notch care, as usual at WestMed. *Dr. Sherling has been my provider for approximately thirty years. His care for myself and my family has been excellent. He is always available, often calls to answer questions or follow up. *Dr. Sherling E-mails promptly to inform me of test results. He is efficient, very courteous, and caring. I am fortunate to have a physician who takes care of my health issues in such a professional manner. His friendliness and kindness only add to his other qualities as an outstanding primary care provider.